Who do you think pays for those clinics genius? And you spelled lose wrong lmao! If the only way you can think of to win a discussion is call somebody a liberal you might want to actually research what you have an opinion on instead. All I was saying is that giving away those syringes saves the city money in the long run. I couldn't care less about politics, you're wrong no matter who you voted for. There is more to life than that, you do realize this no? 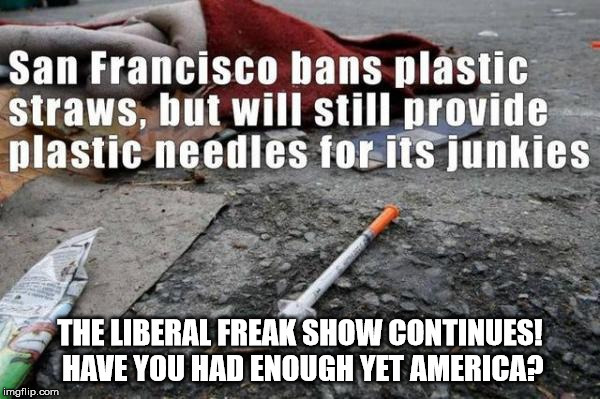 THE LIBERAL FREAK SHOW CONTINUES! HAVE YOU HAD ENOUGH YET AMERICA?